In a few weeks, roughly 4 million students will enter high school for the first time. About two-thirds of them will get worse grades than they did in middle school. For many of these 14- or 15-year-olds, this will seem like a sign that they're going to struggle in the future. That’s a stressful thought. But the transition to high school doesn’t have to be this way. New research is revealing that students’ mindsets—how they perceive their academic abilities—can determine who is overwhelmed by the transition. And it shows us that we can reduce stress and improve students' academic performance if we can change those mindsets. In a new study published in the journal Child Development, we followed 499 9th graders in Texas through the first three months of public high school. We tracked their grades and identified students’ stress levels by looking at the hormone cortisol—sometimes called the “toxic stress” hormone—in saliva samples that students gave every day for a week or more. We also measured whether students had what Carol Dweck of Stanford University has called a fixed mindset—the belief that intelligence is a trait that you either have or don’t have and that it can't be increased. Students with a fixed mindset have been known to feel more helpless when they struggle, because failure seems to mean that they’ll never be smart enough to succeed. Our study of 9th graders showed that rapidly declining grades were met with much higher levels of cortisol in daily saliva samples when students had a fixed mindset. But declining grades weren’t tied to stress if students had a growth mindset—the belief that intelligence can be developed. That is, a growth mindset was associated with resilience among students’ whose grades were dropping. Fortunately, schools and parents can help students develop a growth mindset. In one early demonstration, which we conducted at the University of Texas Austin in partnership with scientists at Stanford University,we gave incoming first-year college students an online program that taught a growth mindset. The transition to college is another major stressor, like the shift to high school. Even a brief exposure to the idea that intelligence has the potential to be developed was enough to have a noticeable effect on students’ academic outcomes a year later. We’ve gone on to test similar growth mindset programs for new 9th graders, dividing them into random groups to assess the effects. In fact, Stanford University’s Project for Education Research that Scales (PERTS) has made a growth mindset program available to 9th graders for free. After all, 9th grade is a pivotal year, with student performance and attendance in this key transition often predicting who will drop out. Even so, we are now learning that students need more than an online program to deal with the transition to high school. They benefit from a school or home climate that, in word and deed, helps students see that mistakes are common and are opportunities to learn. That’s why nonprofit groups like PERTS have created tools for teachers and administrators to effectively communicate growth mindset ideas. It’s not always easy work—adolescents, after all, have a reputation for not listening to adults’ attempts to change their minds—but it’s important work nonetheless. A bigger lesson from our research though is that it matters how kids think about their stressful situations. This is important to keep in mind because parents are often tempted to reduce stress by keeping their kids from ever being challenged. But some level of challenge is inevitable, particularly because challenges help us grow. Sometimes, we shouldn’t be so quick to remove every obstacle in our children’s way. Instead, we should continue to support kids as they face challenges, whether by giving them additional help or by reminding them that people aren’t stuck being “not smart” just because they struggle in school. Our hope is that this could prevent some of the toxic stress responses we detected in the teenagers’ hormones and allow more young people to thrive in their first year of high school. 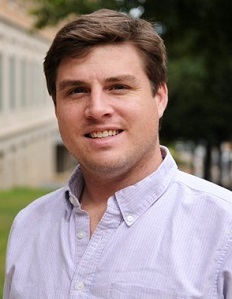 David S. Yeager, a member of FutureEd's research advisory board, is an associate professor of psychology at the University of Texas at Austin and a member of the Mindset Scholars Network. 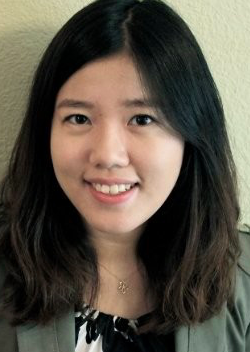 Hae Yeon Lee is a doctoral candidate at the University of Texas at Austin department of psychology.